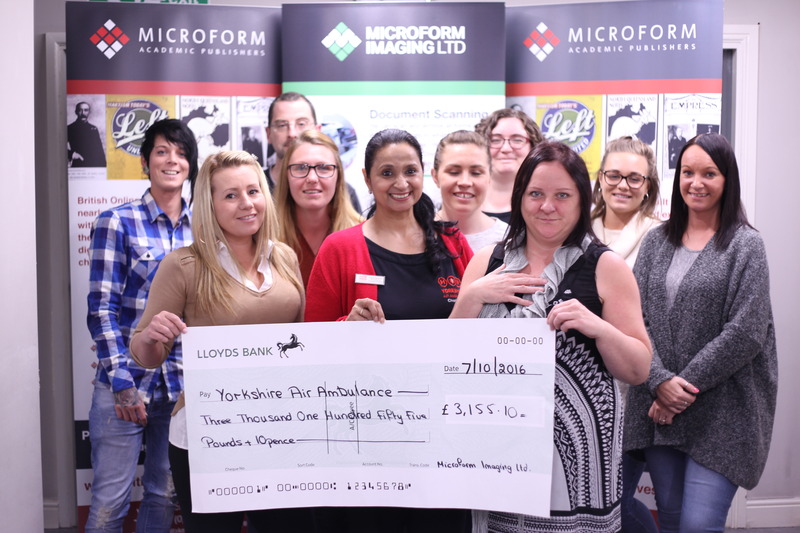 After totting up the proceeds from our fundraiser in September, held at the East Ardsley Festival, staff at Microform Imaging are proud to announce that a total of £3,155.10 has been raised for the Yorkshire Air Ambulance Charity. Looking to raise money for the service, staff members at Microform asked local businesses for both sponsorship and a helping hand during the festival, where a range of stalls, games, and activities were created as a result. The event was also attended by West Yorkshire Police, who brought special cars, motocross bikes, and riot gear, allowing visitors to learn about the role that the force plays in the community. 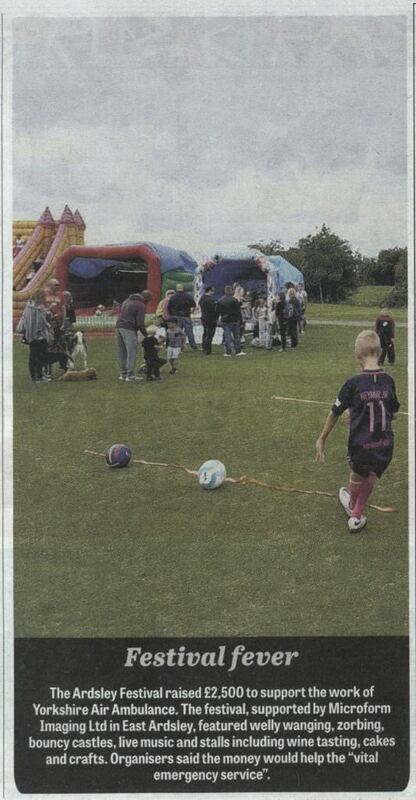 Children were also catered for with a range of bouncy castles, competitions, games, and ice creams. Local artists, performers, and bands were also out in full force to entertain and wow visitors, who were able to enjoy the acts throughout the course of the day. Microform would also like to give special thanks to all involved throughout the community and especially to staff at Microform — who had only three months to organise the event from start to finish. The Yorkshire Air Ambulance Charity is an organisation that has to rely on the generosity of individuals and organisations throughout the community in order to save lives across Yorkshire. It only receives help through secondment of Paramedics from the NHS, through the Yorkshire Air Ambulance Service NHS Trust. In order to keep both air ambulances running, it costs a total of £12,000 every single day — equating to £4.4 million every year. To find out more about how you can help the charity, check out its fundraising guide here. The festival, as seen in the Morley Observer. Next Article What is OCR scanning? Previous Article Why is it important to shred documents?